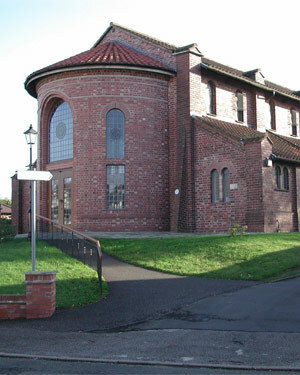 The Worcestershire and Dudley Historic Churches Trust [WDHCT] is able to award grants toward the preservation, repair, maintenance, improvement, upkeep or beautification of any Christian Church within the geographical area of the Diocese of Worcester or the county of Worcestershire. 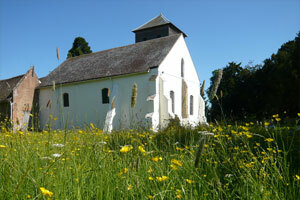 The Trust also promotes the education of the public in the history and architecture of churches. Grants may go towards the large and small scale restoration of historic buildings of all periods including twentieth century, including roof and wall repairs, rewiring or archaeological investigation, as well as the conservation of ancient or more modern features including stained glass, wall paintings and monuments. We are delighted to welcome our new Secretary, Dr Elaine Drage, who has taken over from Mr John Davies. Please update your records and send all future correspondence to her. Thank you. 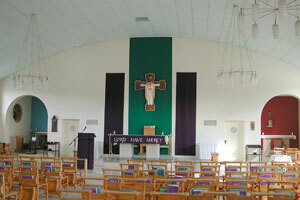 The Trust is able to make grants, generally under £5000, towards projects. These can be of great help in contributing to funds raised on applying for large grants from major funding bodies or make the difference between completing a small project or leaving it on hold. 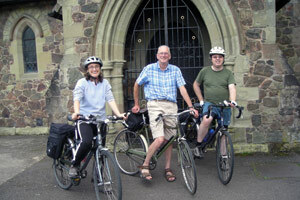 In 2011 the Trust approved provisional grants totalling £58,500 to fourteen different churches. The Annual Sponsored Bike Ride is a National event - every second Saturday in September cyclists (and pedestrians, riders and motorists) all round the country are out making money for their local County Churches Trust. This is the main source of income for the Trust and enables it to make grants to churches in need.